It's getting close to Halloween. If you HAD to read one of these two genres, which would you prefer--urban fantasy or horror, and why? Urban fantasy, because it's a genre I like and read anyway. In my youth/early teens I used to read a lot of horror, but I've gone off it over the years. I'll pick up the occasional piece, but the premise really has to grab me, and I prefer psychological horror to gory slashers. A young woman, seemingly in distress, turned up in the spring of 1817 near the resort town of Bath, wearing strange clothes and speaking a foreign language. Gathering specimens of 164 langauges was no easy task in eighteenth-century London, but Pantographia's most impressive feat is a technical achievement, not a research one. 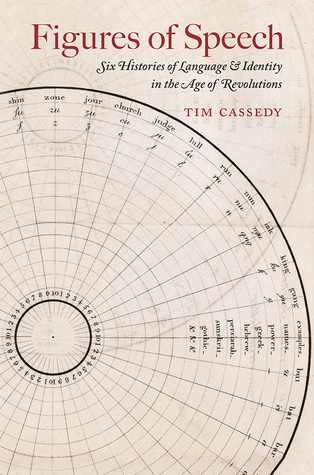 Tim Cassedy’s fascinating study examines the role that language played at the turn of the nineteenth century as a marker of one’s identity. During this time of revolution (U.S., French, and Haitian) and globalization, language served as a way to categorize people within a world that appeared more diverse than ever. Linguistic differences, especially among English-speakers, seemed to validate the emerging national, racial, local, and regional identity categories that took shape in this new world order. 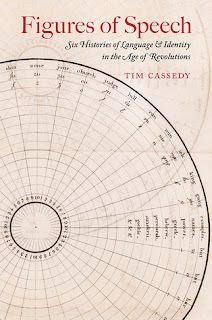 Focusing on six eccentric characters of the time—from the woman known as “Princess Caraboo” to wordsmith Noah Webster—Cassedy shows how each put language at the center of their identities and lived out the possibilities of their era’s linguistic ideas. The result is a highly entertaining and equally informative look at how perceptions about who spoke what language—and how they spoke it—determined the shape of communities in the British American colonies and beyond. This engagingly written story is sure to appeal to historians of literature, culture, and communication; to linguists and book historians; and to general readers interested in how ideas about English developed in the early United States and throughout the English-speaking world. Thanks for the visit, Anne. Interesting literary choice. I'm featuring The Killing Lessons by Saul Black this week. Thanks, Bev. I started last night, and it's an interesting read so far. It is certainly very interesting so far. I'm lured in with that beginning... sounds like an interesting and unique read! I am grateful for you participating every week! Happy Canadian Thanksgiving weekend! It is intriguing, isn't it? Thanks Freda. Hope you enjoy the weekend. Sounds like an intriguing book. This week I am featuring A Crafter Knits a Clue by Holly Quinn from my review stack. Happy reading! It is interesting so far, Kathy. I'm so drawn in by that first sentence, it's a great opening! It does make you wonder why, doesn't it. Thanks for the visit. I prefer urban fantasy, too! I can't take horror AT ALL -- not the psychological horror, or the "gory slashers". There have been two exceptions for me, though -- "The Forbidden Game", by L.J. Smith, which is an omnibus edition of three previously-published books, and "Dread Nation", by Justina Ireland. The first one totally gripped me, in spite of the rather macabre events. That was probably because there was romance in it, lol. The second one was more of a scathing satire on racism, with a strong, feminist female MC. Also, it wasn't all that scary. In fact, I would call it "horror lite"! Lol. But yes, DEFINITELY urban fantasy!!! With or without paranormal romance included, too!! The book you're currently reading sounds fascinating! I'm not familiar with it, though, so I'll have to check it out further. Thanks Maria. Hope you enjoy your weekend too. 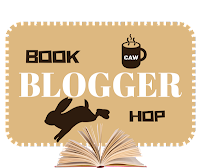 Book Blogger Hop: I prefer horror over urban fantasy. Thanks for the visit, Billy. Huh, not something I would pick up, but sounds interesting nonetheless. Enjoy the read and your weekend! I love learning language and linguistics in general, so it's a fascinating read for me, but, yes, you'd have to be into that to find this book appealing as it's reasonably 'heavy'. I'm not usually into slashers either.